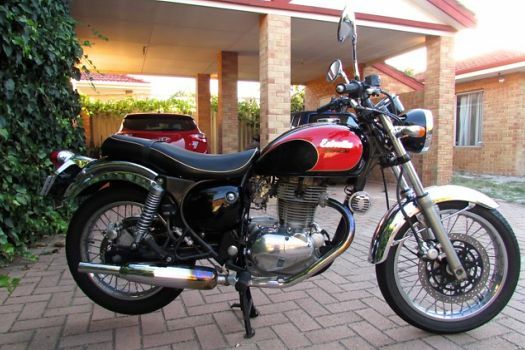 The only Estrella known by now in Australia is the (former) Estrella BJ250C from Talya. It was imported from Japan. 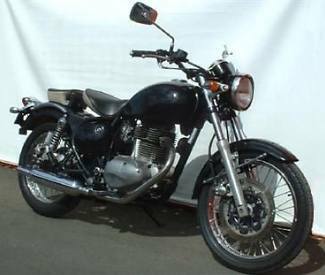 The Estrella has never officially been sold by Kawasaki in New Zealand. But there are at least five! 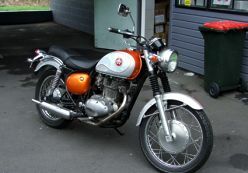 Claire who lives near Wellington bought a German BJ250A2 from a man who brought it with him from Germany when he emigrated no New Zealand! 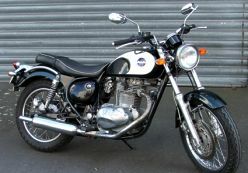 The second Estrella is a BJ250B. 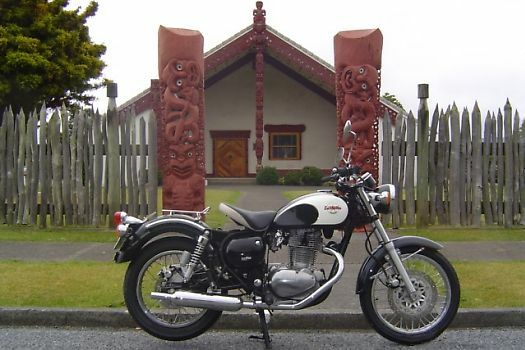 A Honda dealer from Hasting NZ sat an advertisement onto the internet. It is definately an Asian and no European version. The condition seems to be not too good - and tank and fenders have been painted black. 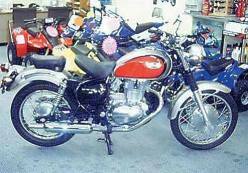 A third Estrella, a BJ250D from 2001 has been found at a Kawasaki dealer. And below number four and five. Peter from Papakura imported these two Estrellas from Japan to New Zealand. The right Estrella has a custom paining.